“There’s gotta be a pound in each.” Abe nudges the ziplock bag of marijuana with the tip of his pen. The kitchen table is shrouded in these bags, along with bundles of cash. I’m going to take a wild guess and say there’s plenty more, hidden around this dive of an apartment. I peer over at the guy we just busted, handcuffed and lying on his stomach, under another officer’s watchful eye, waiting to be transported for booking. He’s a scrawny nineteen-year-old with a temper. “Don’t know about you, but I wouldn’t be beatin’ on my girlfriend if I had all these drugs in my house.” His neighbors heard glass smashing and him making threats of death, so they called 9-1-1. He gave us cause to kick in the door when he uttered a string of racial slurs and then spat in Abe’s face. That’s how we found the bloodied blonde girl and this. Now the paramedics are treating the gashes on her face, while we wait for Narcotics to swoop in. “You and me both. We bounced our mortgage payment last month.” Blair told me we couldn’t afford that house. I ought to have listened to him. But I also hadn’t planned on getting pregnant when I did. Not that I regret having Noah. I just expected to have earned a few stripes before I was elbow-deep in diapers and formula. “You’re ridiculous.” I roll my eyes at him. “I’m gonna miss being your partner, Abe.” After seven years, there’s no one else I trust more in the APD—and in life—than Abe Wilkes. Pregnant three months into dating and married at City Hall the week after finding out? I’d say so. “Your mom come around yet?” A good Christian woman like Abe’s mother was less than pleased when she found out her twenty-eight-year-old son had knocked up an eighteen-year-old girl. An eighteen-year-old white girl. I’ve met Carmel Wilkes. I don’t believe she has an issue with Dina, per se; she’s more worried about other people taking issue with Dina and Abe together, and the problems that may arise. As progressive as Austin is, there’s still plenty of hate to go around when it comes to the color of a person’s skin. It’s inevitable, the second anyone says his daughter’s name, that Abe’s face splits open with a wide grin. He’s about to say something—probably tell another story about how cute she is—when our radios crackle with voices. 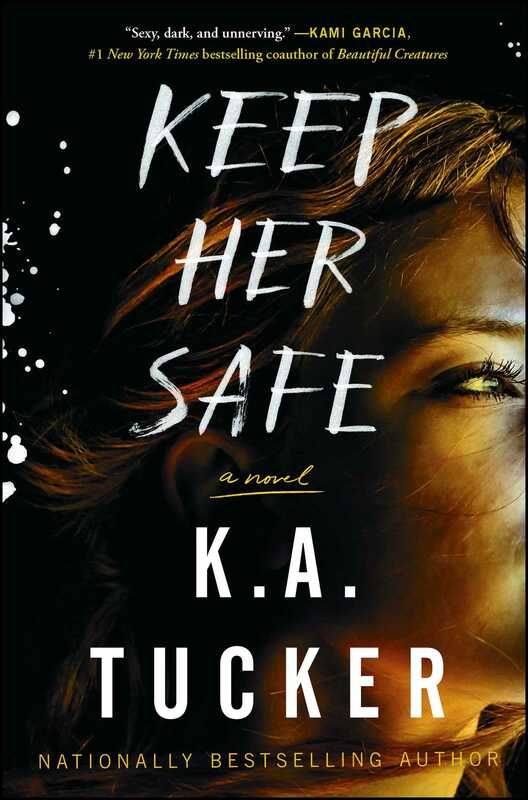 This reading group guide for Keep Her Safe includes discussion questions and ideas for enhancing your book club. The suggested questions are intended to help your reading group find new and interesting angles and topics for your discussion. We hope that these ideas will enrich your conversation and increase your enjoyment of the book. 1. Who do you think “her” refers to in the novel’s title, Keep Her Safe? Why might K.A. Tucker have chosen this title? 2. Which characters were you initially suspicious of while reading? What led you to be suspicious of them? Did they end up being guilty of what you thought they were? 3. Soon after arriving in Austin, Gracie wonders “What would my life have been like, had my father not died? Would I have grown up in a quiet suburb with gardens and trees?” (p. 210). In what ways do you think Gracie was shaped by the circumstances in which she grew up? Have you ever visited somewhere your parents had lived and wondered who you would be if they’d raised you there? 4. Several characters find themselves, at one point or another, torn between two ideals: loyalty to family or their moral integrity. Discuss how this tension plays out in Abe, Dina, Jackie, and Noah’s storylines. What similarities and differences do you see in how they handle these conflicting principles? 5. Everyone who knew Abe agrees that it would have been completely out of character for him to abuse his power. However, as we see from the end of Keep Her Safe, sometimes people we trust deeply are capable of unimaginable things. In your own life, how do you decide when to trust an accusation of wrongdoing and when to have faith in your existing sense of someone and give them the benefit of the doubt? What do you think it would take for you to believe a close friend or family member had committed a horrific crime? 6. Early on, Gracie finds Noah’s Southern mannerisms patronizing (albeit charming), but ultimately comes to appreciate his protectiveness and politeness. Do you wish men were more chivalrous like Noah, or do you find that attitude frustrating, as Gracie does initially? 7. Canning makes the case that letting a scandal get out would undo “all the goodwill [the police] work hard to build in the community . . . buried under a thick layer of public distrust, thanks to one dirty cop” (p. 355). However, covering up misconduct risks more of the police force being implicated, potentially leading to even more negative public opinions. Is there anything that police officers can do to hold bad cops accountable, without incidentally burning the bridges they have worked to build to the wider community? What would have been the best way forward in this situation—and what consequences couldn’t have been avoided? 8. When Gracie asks Noah if they’d be friends if her father hadn’t died, he replies that he’d “probably be like an older brother” (p. 398) to her. Do you agree? Would they have been too much like siblings to have a romantic connection, or would a spark have grown between them even if they had been close their whole lives? 9. What do you think Noah will do after the novel ends? Will he return to his job at the DA’s office? If not, what will he pursue instead? Will he continue to live in Austin? Will he and Gracie stay together long-term? 10. On page 390, Noah remarks that Gracie and Dina will always be family, “even if Gracie kicks me to the curb one day.” Do you think their relationship could withstand a romantic breakup? Are you still friends with any of your exes? 1. Bring some Southern comfort to your book club—have group members bring dishes like cornbread, barbeque chicken or ribs, collard greens or coleslaw, and come dressed in your best Texan-inspired style, whether it’s wearing the largest belt buckle you can find, cowboy boots, or cactus-print clothing. 2. Both Gracie and Noah’s mothers turn to substance abuse to deal with guilt, difficult emotions, and traumatic memories, and Dina’s addiction nearly causes her family to become homeless. Consider volunteering with your book club at a local homeless shelter, rehabilitation center, or addiction support organization. You can search for an organization near you using www.volunteermatch.org. 3. Consider reading one of K.A. Tucker’s other page-turning novels for your next book club meeting. 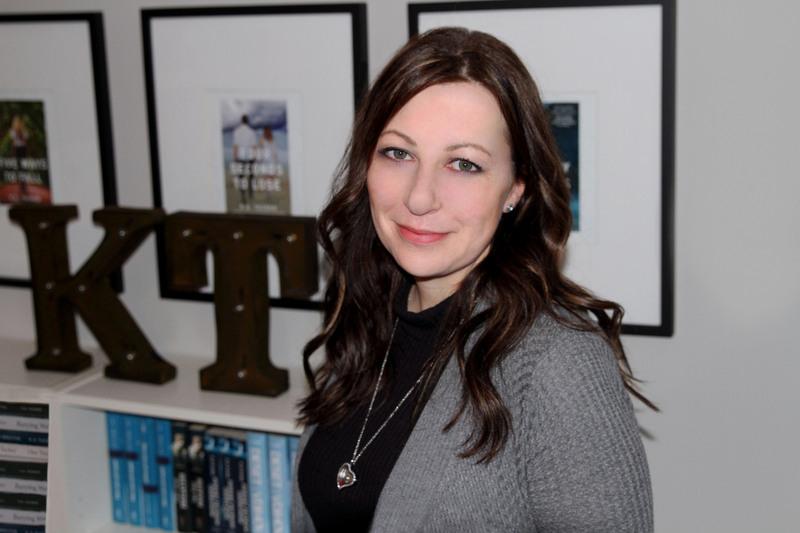 For another thrilling suspense, you can check out He Will Be My Ruin, or if you’re looking for a classic and compelling contemporary romance, your group is sure to love Until It Fades. Visit K.A. Tucker’s website www.katuckerbooks.com to learn more about her and her books, or follow K.A. Tucker on Twitter @kathleenatucker, or Facebook at www.facebook.com/K.A.Tucker.Author.